In 2013 I read Amanda Brooke's Another Way to Fall, which is still one of the most moving books I've ever had the fortune to read. 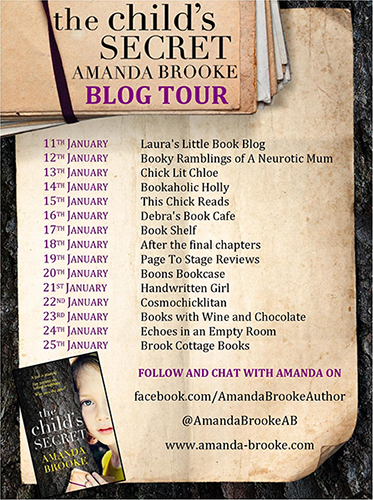 And so I'm delighted to be a part of the blog tour for her latest novel, The Child's Secret (review to follow)! To celebrate the release of the book, some of my favourite bloggers are posting their reviews and other great content, and I have the pleasure of sharing with you a guest post by Amanda on an author's best friend. When I was growing up, my family always had pets of one form or another and I’d probably be hard pressed to list every species let alone their names. Suffice to say we had the full set of reptiles, fish, birds, insects and of course, mammals. Our co-habitants changed over the years but the one creature you would always find in our house was a dog – at least one and often more. I couldn’t imagine what my childhood would have been like without a dog, but unfortunately I do know what it’s like not to have one now. I used to have a West Highland Terrier called Maisie and after she died ten years ago I knew I couldn’t commit to another dog simply because I was working full time. I still wanted a pet so I decided to forsake man’s best friend in favour of two cats who don’t mind so much that I’m out at work all day. And while I do love my cats, they most definitely aren’t dogs. Now I’m sure I’m dividing opinion and there are many, many readers who will chose a cat over dog any day but having shared my life with both, there is something missing from my life without a dog. When I come home from work, I might very well get a loving welcome from my cats, but I’m just as likely to get a dismissive glance. It will all depend on how hungry they are or if they’ve found a warm spot on a radiator. They might curl up on my knee when they want me to stroke them, but if they would rather have their own space then no amount of coaxing will get them to turn their heads let alone come over to me. There’s no denying that they’re exceptionally smart and very self-sufficient, and when one of them is purring on my lap it’s such a soothing sound, but we all know who’s boss and it isn’t me. A dog on the other hand would be constantly watching, and the minute I made eye contact their tail would start wagging. I’d only have to pat the empty space next to me and they would be there in a shot. Even as I write this, I’m reminded how much I miss having a dog which is probably why I enjoyed writing Where I Found you so much. My main character Maggie is blind and she has a guide dog called Harvey and it was the first time I’d included an animal in one of my stories. It took quite a lot of willpower to keep my focus on the people in the story and not the dog and I was surprised how rewarding it was to live vicariously through my character. It wasn’t a hard decision to include a dog in The Child’s Secret so I could do it all over again, and when I retire from the day job, I will be getting a dog but for now, writing about them is my guilty pleasure. Just don’t tell my cats. Thank you so much for sharing this great post with us, Amanda! 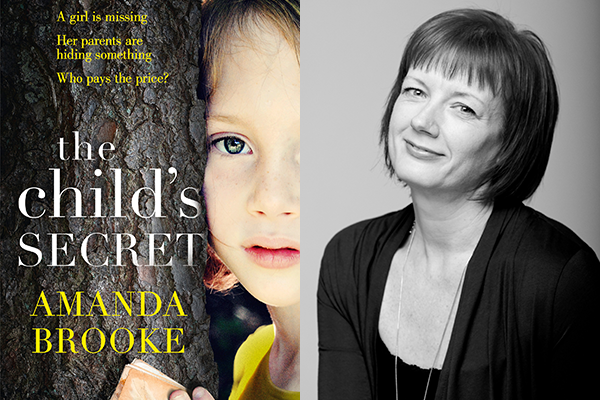 The Child's Secret is out now and you can get your copy from Foyles or your own preferred retailer.